I was a kid sitting in a South Philly movie theater in 1963 when a beautiful woman appeared on screen and asked the man sitting across from her at a gambling casino for his name. "Bond," a young man in a tux said as he lit a cigarette. "James Bond." That was my introduction to one of my favorite actors, Sir Sean Connery in Dr No. Matthew Dunne-Miles at the Scotsman offers a look back at seven great performances of Sir Sean Connery. Sir Sean Connery made his name as the dashing leading man in his early years, but in his post-007 period he moved into seniority with aplomb, often stealing scenes with a salty charisma. Here, we chart some of his most memorable roles through the years. 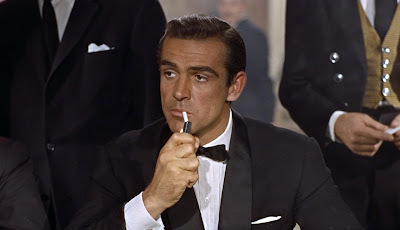 Note: I'd round out the list of Sir Sean Connery's greatest performances to 10 and add From Russia With Love (my favorite Bond film), The Hill and The Offense. 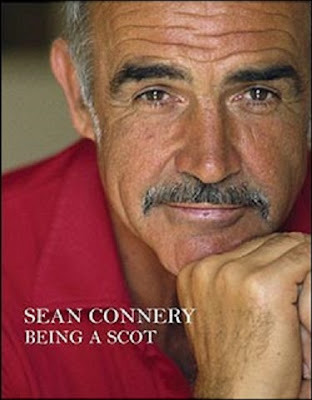 Sean Connery was my favourite Bond. James Bond.